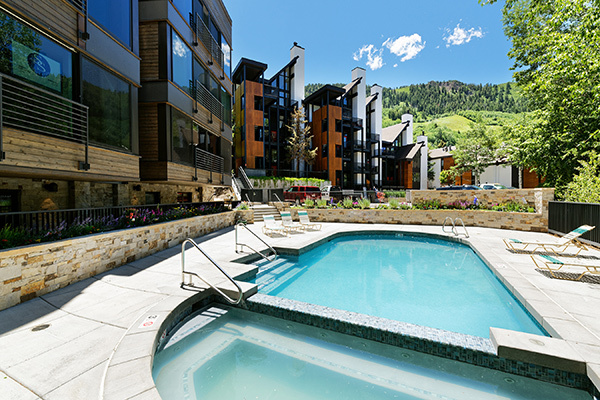 Fifth Avenue condos offer a great location at the base of Aspen Mountain with easy access to Lift 1A as well as downtown shops and restaurants. The tall, northeast-facing windows overlook the town of Aspen, while Aspen Mountain itself lies right outside the back door. These Aspen condo rental units may feature vaulted ceilings, upgraded kitchens and bathrooms, a fireplace, washer/dryer, and flatscreen TVs. 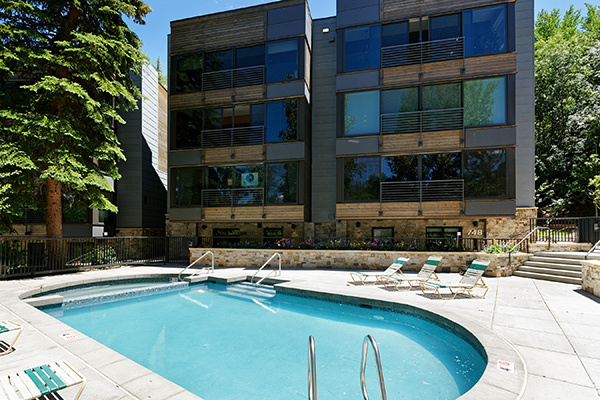 Complex amenities include complimentary Aspen Airport transportation, a recently renovated outdoor heated pool and hot tub, on-site free parking, and free Wi-Fi. Fifth Avenue is located at 800 S. Mill Street. Guests check in at the Fasching Haus at 747 S. Galena Street.